Temperature control in industrial process is a key factor not only in terms of product quality, but also because it has a great impact on the total energy consumed by the unit. To save on production costs and reduce waste, invest on precision solutions such as EV3 400, the new universal controller by EVCO. Values such as temperature, pressure, humidity and much more can be efficiently managed through multi-sensor inputs and an on-off or PID control with auto-tuning function to drive loads through relay outputs or 0-10V modulating output or by operating external SSRs. The 74x 32 format with capacitive keys results even smarter when accessed through the app EVconnect, which makes it possible to set the machine and download logs and events directly from your smartphone. From now on, the result of customized seasoning processes will no longer be subject to all the variables typical of maturing steps, but salami and cheese will have the desired appearance and taste, thanks to EVCO's new electronic controller EVJ500 and its capability of optimizing stewing, drying and seasoning processes. For a perfect maturation and conservation of your foodstuff, regulation options include manual or programmed air exchange cycles, as well as a pause-work function. Ideal for temperature/humidity applications too (i.e. praline and pastry display), the controllers belonging to the EVJ500 series make it possible to operate the unit directly from your smartphone, using the dedicated app EVconnect. EVCO technology at the service of flavour! Fed up with the obsolete and inaccurate control of your gastronomy, bread and pastry-making ovens? Replace your electro-mechanical controller with the EVCO new digital modules, which have functions such as the management of temperature and cooking/steam injection timing. The temperature can be constantly monitored via a reduced-depth LED display and operations are fast and intuitive with the capacitive keyboard and the handy push-encoder. 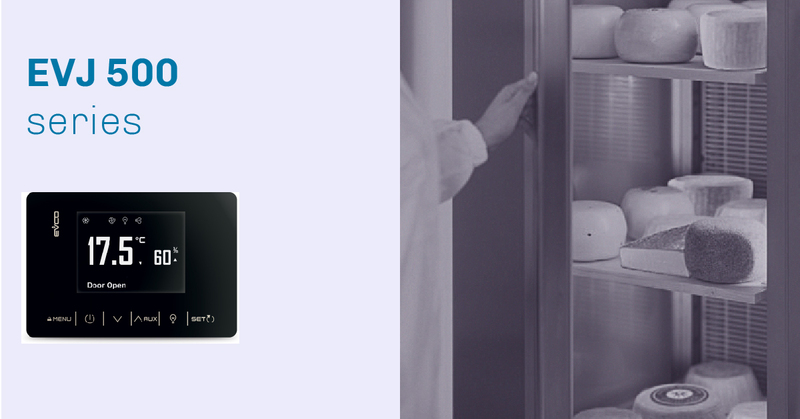 On top of it you will save on energy cost thanks to the on-off or PID temperature control. 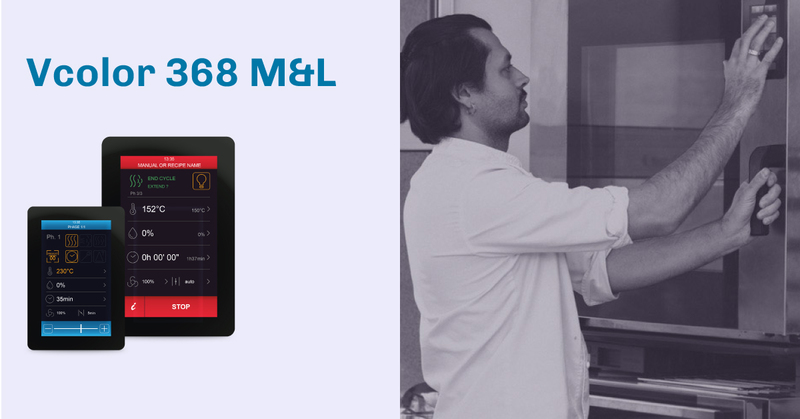 Raise the bar of what you expect from a controller with the innovative Vcolor 368, the comprehensive solution for managing all up-to-date functions of next- generation electric combi ovens for gastronomy and patisserie, including the optional management of external boilers and gas burners. 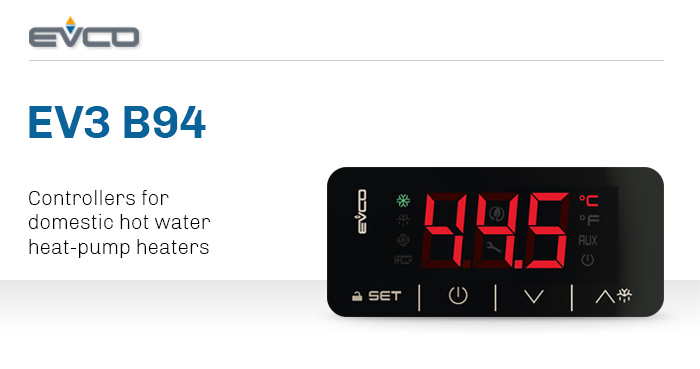 A plug&play system with easy navigation and a 5 or 7 inch capacitive full touch-screen display conceived for a flush-fit installation, Vcolor 368 has a configurable platform that offers great personalization opportunities to OEMs: graphic interfaces, recipe photos and input languages can be added and/or modified in a few simple steps. 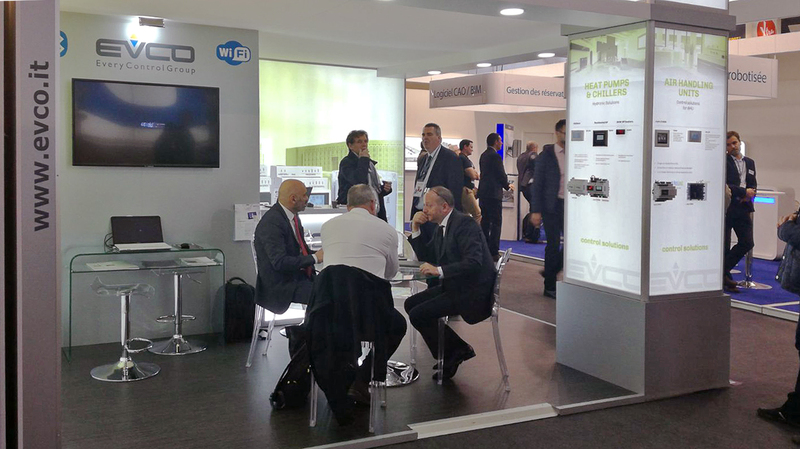 Thank you all for the great interest in the EVCO solutions presented at Chillventa. It was nice to meet so many of you and share the commitment for an ever-increasingly digital and sustainable future. Legionnaires' disease is an infection that affects the respiratory system causing pneumonia, sometimes with life-threatening reactions. Yet, identify, fight and prevent the Legionella bacterium is a rather simple matter. Besides adequately designing and maintaining the equipment, it is important to act at source with specific disinfection methods, including an appropriate thermal shock through temperature control devices with anti-legionella functions. This is the case of EV3B94, the EVCO controller for drinkable hot water heat pump heaters. It will be on show at Chillventa, Nuremberg, from 16th to 18th October (Hall 5, Booth 5-106). The EVBOX Light J200 & JS200 series of frontal electrical panels provides a flexible and highly efficient control for single-phase cold rooms, no matter if the moto-condensing units are on-board or remote. The ready-to-install panel with full IP65 protection degree is also available in an innovative slim-line version with reduced depth for an improved aesthetic on-board. The solution can be equipped with BLE connectivity, which enables advanced monitoring, configuration and HACCP traceability functions through mobile devices. 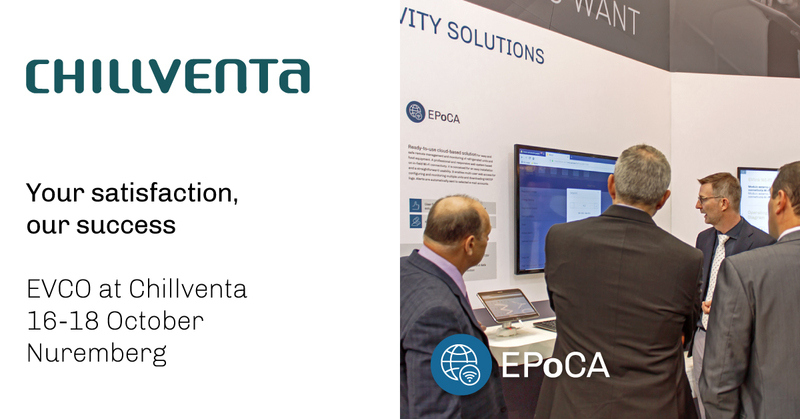 Similar and more value-added services are provided to this and other EVCO control solutions by EPoCA, the new Wi-Fi remote monitoring system, a preview of which will be given at the forthcoming Chillventa edition. 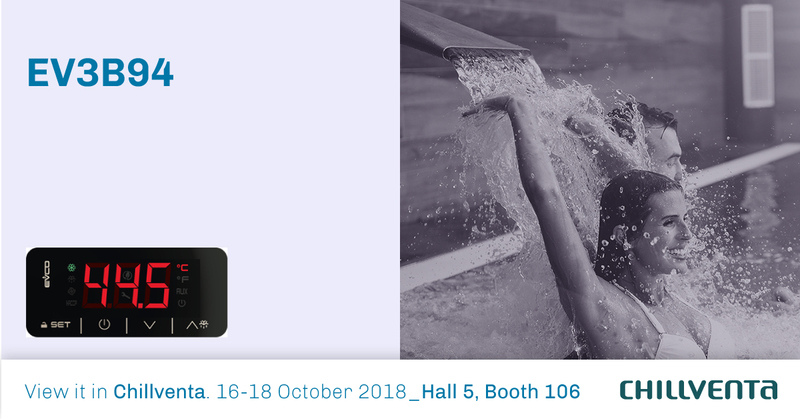 Looking forward to meeting you in Nuremberg, Hall 5, Booth 5-106, from 16th to 18th October 2018. About a month to go prior to the next Chillventa edition, the world’s leading fair for refrigeration, air-conditioning, ventilation and heat pump technology. 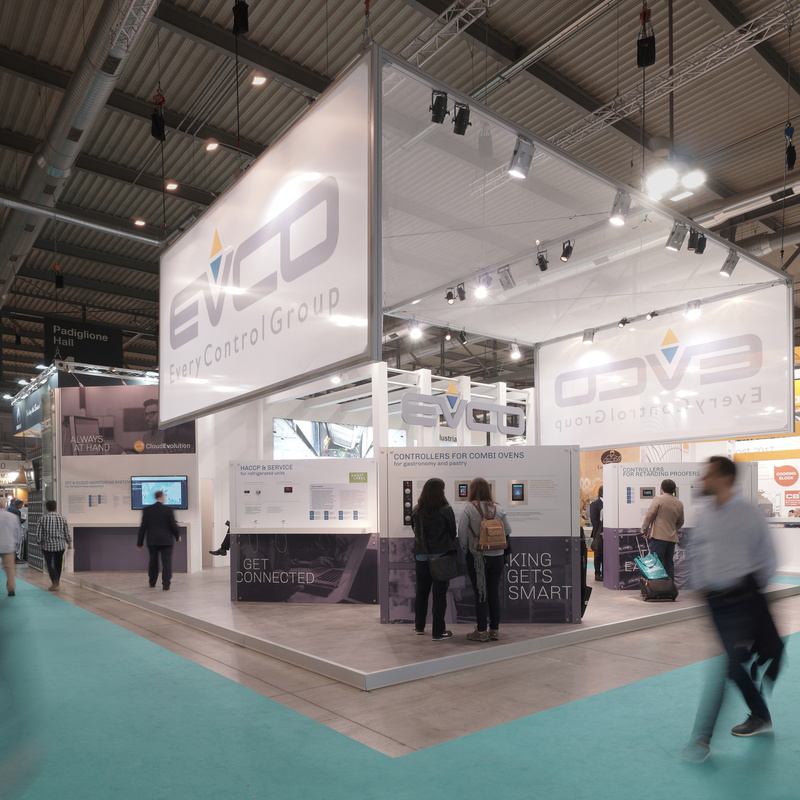 A good venue for top global players to be introduced to EVCO's new trend of control solutions, where environmental focus and energy-efficiency are combined with innovative connectivity systems. To discover more, come and visit us in Chillventa, Nuremberg, from 16th to 18th October. We look forward to meeting you in Hall 5, Booth 106. Conceived for original equipment manufacturers, c-pro 3 OEM programmable controllers are available in an 8-DIN module with open-board or with housing (blind or with built-in display). They have 115/230 VAC power supply, high voltage DIs, 21 I/Os, a CAN port for connection with expansion modules or with the EPJ displays (including touch-screen models), an RS485 port with MODBUS Master or Slave protocol and an enhanced memory capacity to meet the management needs of the HVAC/R sector. Also ideal for cost-effective stand-alone solutions thanks to the INTRABUS proprietary protocol that allows direct connection to the remote user interfaces of the EVJ family. The application software can be intuitively designed with the UNI-PRO 3 integrated development environment. Equipped with 40 I/Os, the c-pro 3 NODE kilo AHU programmable controller satisfies the management needs of single or dual-flow (with heat recovery) air handling units in use in medium-size facilities, such as health centres, schools, offices, retail and hotels. A technologically advanced solution with a wide variety of communication ports and protocols (including BACnet), it is designed to interact in a network of devices and to be connected to monitoring systems, both on-site and remote. User interfaces with built-in temperature and humidity sensors are available for connection via BUS. To have the ideal climate to mature salami, cure meats and age cheeses has never been so easy! 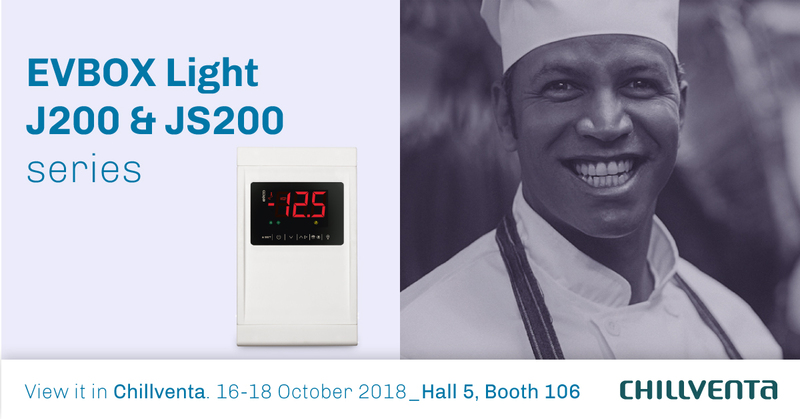 With the new EVCO's EVBOX Light J500 series of frontal electrical panels, you will get a ready-to-install solution with full IP65 protection for an automatic temperature (heating/cooling mode), humidity and ventilation management of storage and seasoning rooms for charcuterie and dairy products. Intuitive time programs optimize the management of each phase, resulting in a better quality in terms of product flavour, preservation and size and shape standardization. Regulation options include a pause-work function and manual or programmed air exchange cycles for perfect oxygenation. 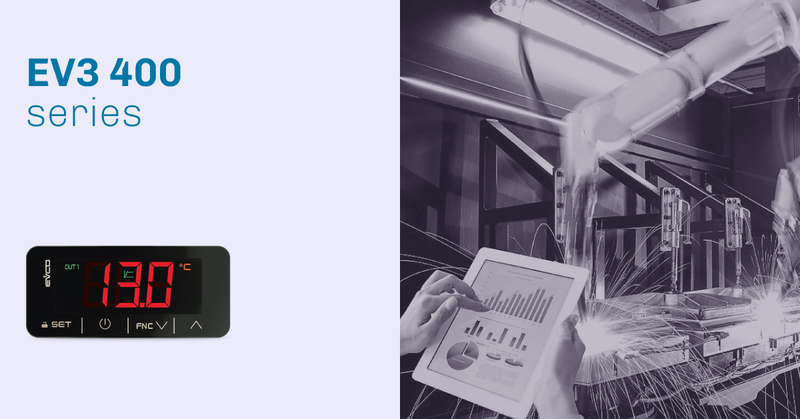 The built-in or optional BLE connectivity gives you the further advantage of acceding the device through the professional app EVconnect that makes it possible to display, download and exchange data with your smartphone, for a full compliance with HACCP standards. Your mechanical ventilation units for air renewal need a controller with a ready-to-use application software which helps to comply with the standards for air-quality and building energy certification? We suggest to consider a Plug&Play solution such as the EV3 MVC & EVD MVC series, capable of granting environmental comfort without losing sight of aesthetics (with stylishly designed user interfaces) and of ease-of use-thanks to the APP EVcontrol for iOS and Android platforms, which transforms your smartphone into a state-of-the-art remote control. 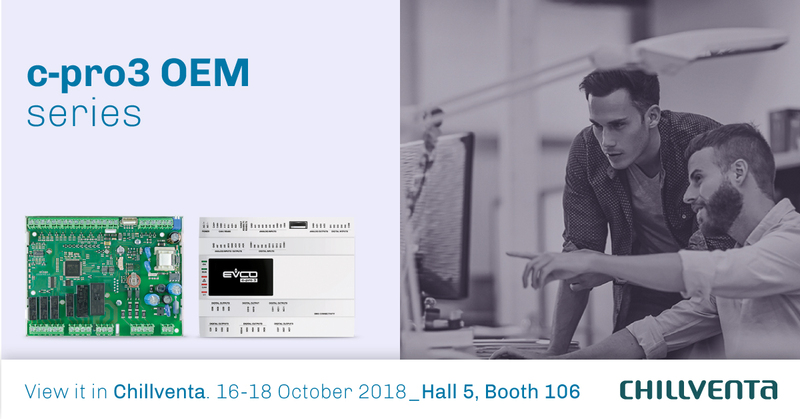 Should you prefer to create your own application and need a powerful hardware and an intuitive development platform, then visit us at the forthcoming Chillventa and test the EVCO new programmable controller for MVC units. 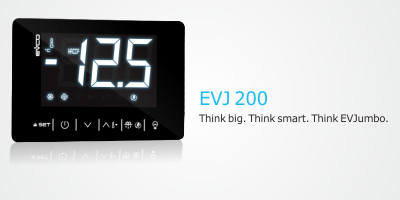 The EVJ 200 series (EVJumbo), one of our control solutions for refrigerated units with the best performance in energy saving, advanced connectivity, stylish big-LED display and versatile installation options, takes a further qualitative step forward and becomes UL certified with the label “UL Recognized Component”, a globally recognized symbol when referring to product quality and safety. The label has been synonymous for distributors and users of guarantees against fire, electrical shock and mechanical risks. Issued by the independent certification body UL, it proves that the product is compliant with the USA and Canadian safety requirements. 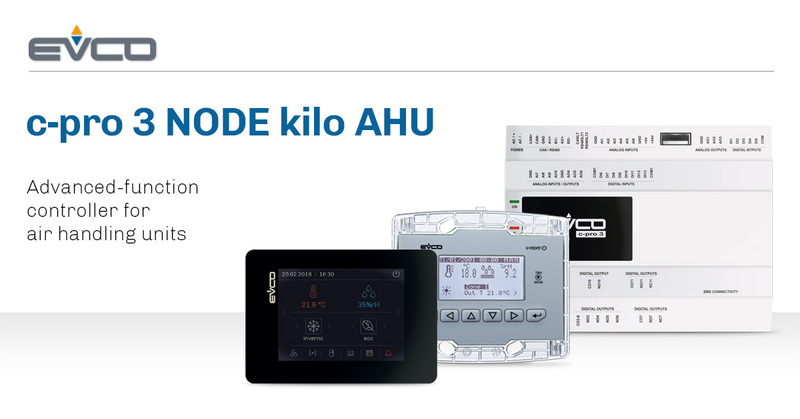 If your EVCO programmable or HVAC controller needs to be connected to a remote user interface that combines elegance, functionality and installation flexibility, then EVJ LCD & EPJ LCD series is the perfect blend for you! Available with an INTRABUS proprietary port (EVJ) or with a CAN port (EPJ), the EVCO new remote user interfaces with browser functions have a graphic LCD display with 6 capacitive keys. The models equipped with 2 relays can be powered directly from the mains (115... 230 VAC) and are designed for wall mounting with rear housing in a built-in box. 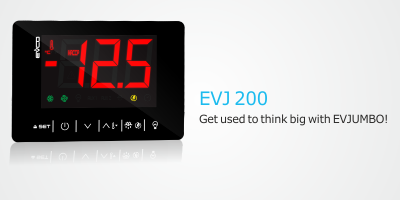 Other available features such as built-in temperature/humidity sensors and a built-in BLE communication module makes EVJ LCD & EPJ LCD the right product for any HVAC management need in any kind of environment. 82 tons of avoided CO2 emissions into atmosphere thanks to the supply of energy from renewable sources. 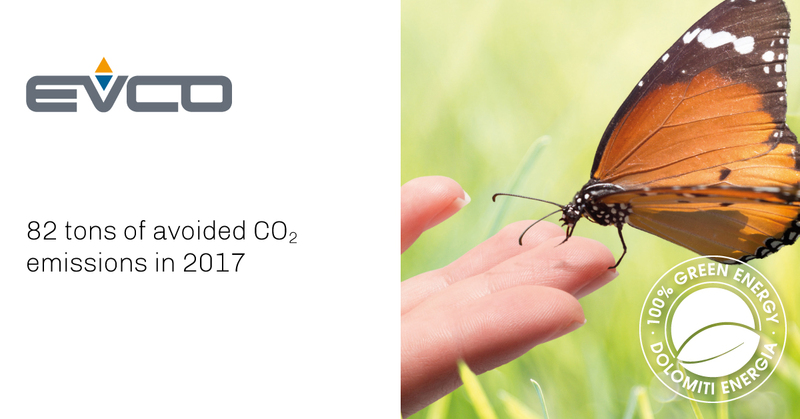 This is EVCO's environmental balance for year 2017 as far as commitment against greenhouse gas is concerned. The result has been obtained with an energy supply agreement signed with " Dolomiti Energia - 100% Energia Pulita". The hydroelectric power stations belonging to Dolomiti Energia employ the natural power of water from the Dolomite watersheds. They are certified by GSE (Electricity Services Operator) as qualified plants for the production of renewable energy with GO certificates. The GO (Guarantee of Origin) is an electronic certification that provides unequivocal evidence the renewable nature of the energy produced, in compliance with Directive 2009/28/CE. A further step in EVCO's ongoing commitment to support an environmentally sustainable future. EVCO is honored of having co-sponsored a monumental work realized by Gianpaolo Sani and Luca Sovilla on Schiara, the highest peak in the Dolomiti Bellunesi National Park, considered World Heritage by UNESCO. 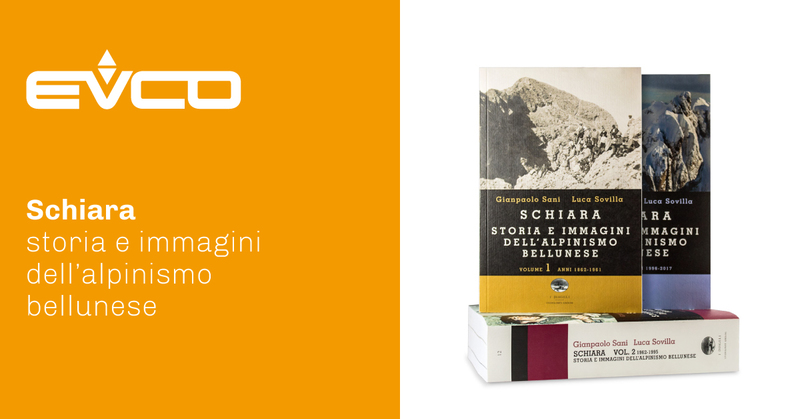 The book, a document in 3 volumes, is entitled "Schiara - Stories and Images of Alpinism in Belluno". It offers a wide photo gallery and a summary of the most relevant episodes and events that have taken place on the Schiara group of mountains from the mid-19th century up to the present day. Besides top alpinists from Belluno such as Riccardo Bee, the book features important international players: R. Messner, R. Cassin, R. Goedeke, T. Hiebler. And last but not least, a picture, dated 1965, portraying Carlo De Bona, EVCO's president, together with Lino Lacedelli, the famous Italian alpinist. Guaranteeing that delivery schedules are honored is a key market requirement. That's the reason why EVCO has adopted specific measures to reach the goal of 95% of orders delivered within the agreed dead-line. Considerable achievements have been accomplished thanks to the Tecnest solutions for the Supply Chain and Operation management. 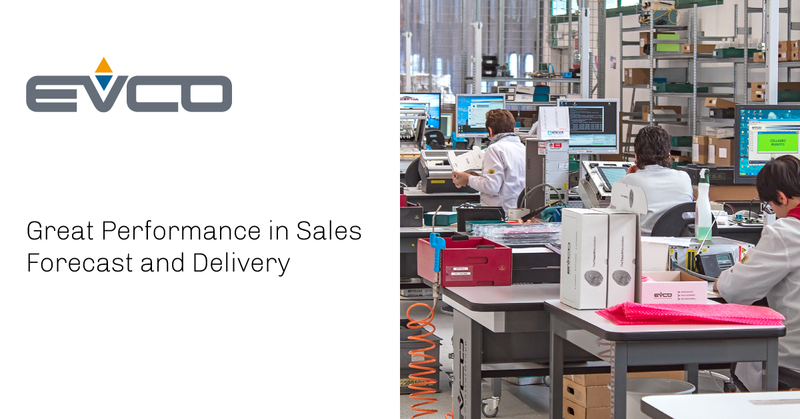 The company, based in Udine, developed a dedicated project that made it possible to reduce time to market through IT processes of sales forecast and production and supply optimization. The EVCO case history was presented at the latest edition of Global Summit "Logistics & Supply Chain" in Bentivoglio, Bologna. EVJ 800 is the new controller by EVCO for the complete management of state-of-the-art blast chillers with blast-chilling/blast-freezing functions and ready-to-use special cycles, such as fish sanitation, ice-cream hardening, thawing, cabinet sterilization and needle probe heating. A versatile solution with intuitive operations for a pleasant user experience, it enables easy setting, HACCP logs and cycle selection/start from your smartphone thanks to the dedicated app EVconnect. The stylish user interface with 2.8 inch colour graphic display and 6 capacitive touch keys can be easily mounted on the unit. When the unit panel is made of glass or methacrylate, it can be also installed from behind for a flush-mounted result. An eco-friendly and highly efficient management of your refrigerated unit is a must-have choice for a competitive and ethical business that aims to create a sustainable future. EVCO offers the solution you are looking for with the new controller EVJ254 for refrigerated cabinets with variable speed compressors. Embraco Fullmotion and Secop technology contributes to big energy-saving while dramatically reducing noise. The performance in terms of load optimum control (through the output for driving the compressor inverter + 4 digital outputs) can be associated with optional sealed relays for plants using hydrocarbons, in compliance with the EN 60079-15 standard. 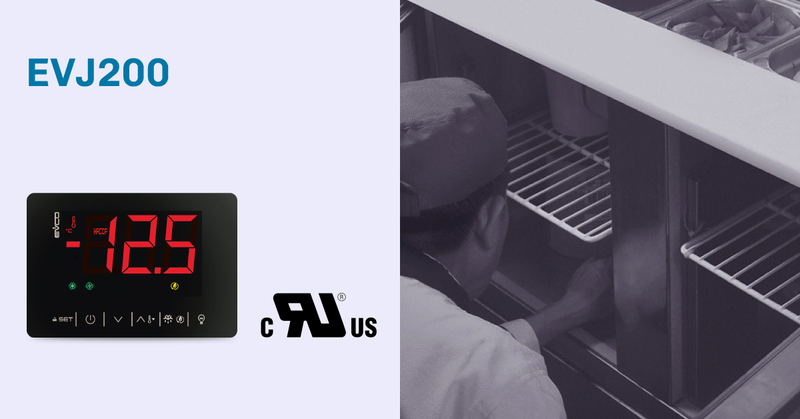 On top of all this you get EVconnect, the dedicated app for HACCP traceability and rapid setting from your smartphone, as well as a big LED display that can be installed flush behind a glass or methacrylate panel and the keys can be customized on the surface of the panel. Fed up with the obsolete and inaccurate control of your gastronomy, bread and pastry-making ovens? Replace your electro-mechanical controller for basic ovens with the EVCO new digital modules, which have functions such as the management of temperature and cooking/steam injection timing. The temperature can be constantly monitored via a reduced-depth LED display and operations are fast and intuitive with the capacitive keyboard and the handy push-encoder. On top of it you will save on energy cost thanks to the on-off or PID temperature control. 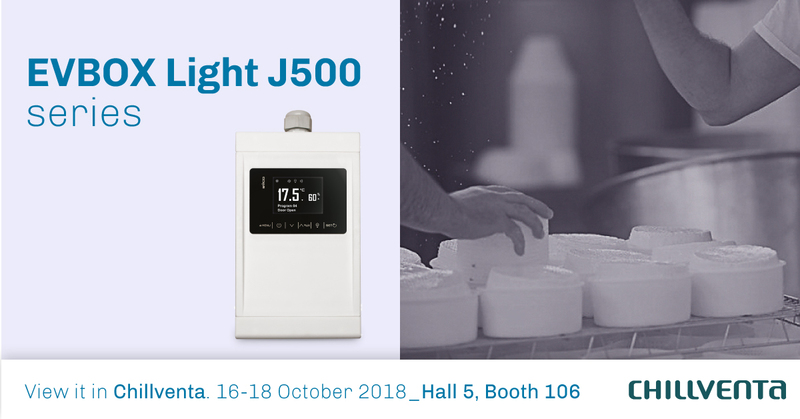 EVBOX Light J200 & JS200, the new range of controllers for single-phase cold rooms provide a flexible and highly efficient control of a wide variety of equipment, both with on-board and remote moto-condensing units.A ready-to-install panel with full IP65 protection degree, large LED display and capacitive touch keys, it is also available in an innovative slim-line version with reduced depth for an improved aesthetic on-board.The solution can be equipped with a BLE connectivity module which enables the use of the professional mobile app EVconnect for Android and iOS smartphones, thus conveying advanced functions such as the download of HACCP records (in graph or table form), the display of real-time events and the remote configuration of setpoints and parameters. c-pro 3 NODE kilo AHU is a controller for the management of single or dual-flow (with heat recovery) air handling units in use in medium-size facilities, such as health centres, schools, offices, retail and hotels. A technologically advanced solution with 40 I/Os and a wide variety of ports and communication protocols (including BACnet),it is designed to interact in a network of devices and to be connected to monitoring systems, both on-site and remote(CloudEvolution). User-friendly control of the unit using the EVcontrol APP for iOS and Android platforms, transforming your smartphone into a state-of-the-art remote control. 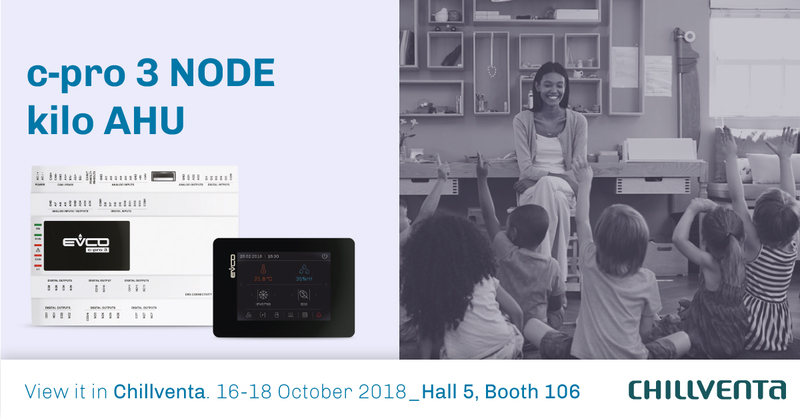 Come and view it and other HVAC control solutions at the forthcoming Mostra Convegno Exhibition from 13th to 16th March. Fieramilano, Hall 22, Booth D31 E32. Our c-pro 3 programmable control technology has obtained the ebm-papst "Approved Controller" label: EVCO ranks now among a list of selected manufacturers capable of reliably configure and manage GreenTech EC (Electronically Commutated) fans. Data centers cooling technologies have become more and more a crucial element not only for protecting data at proper temperature and humidity conditions (as recommended by ASHRAE Standard), but also for addressing the increasing requirements of efficiency improvement. c-pro 3 CLOSE is the EVCO solution for a reliable management of direct expansion, chilled water or hybrid Close Control units. Thanks to the dual refrigeration circuit and hybrid energy sources, the system is capable of operating even in case of serious failures. It consistently contributes to energy saving as it can manage variable capacity compressors, Electronic Expansion Valves, modulating fans, dry cooler and free cooling. Don’t be satisfied with just an energy saving of up 70% when replacing your electric water heater with a DHW heat-pump heater! With our controller EV3B94, you will have on top the direct control of medium-power compressors, the management of stratification inside the tank and the anti-legionella function. 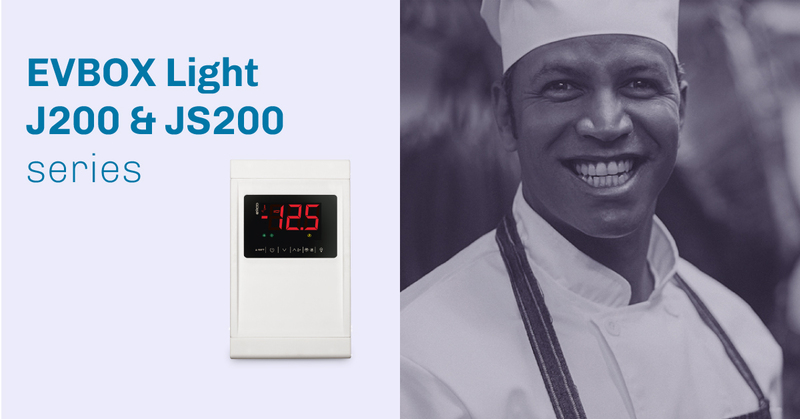 In the compact version with plastic enclosure and frontal IP65 protection, the controller comes in the 74 x 32 mm format, LED display and capacitive touch keys. EV3 200, one of the most successful series among the EVCO controllers for the management of refrigerated units, takes a further qualitative step forward and becomes UL certified with the label “UL Recognised Component”, a globally recognized symbol when referring to product quality and safety. The label has been synonymous for distributors and users of guarantees against fire, electrical shock and mechanical risks. Issued by the independent certification body UL, it testifies that the product is compliance with the USA and Canadian safety requirements. 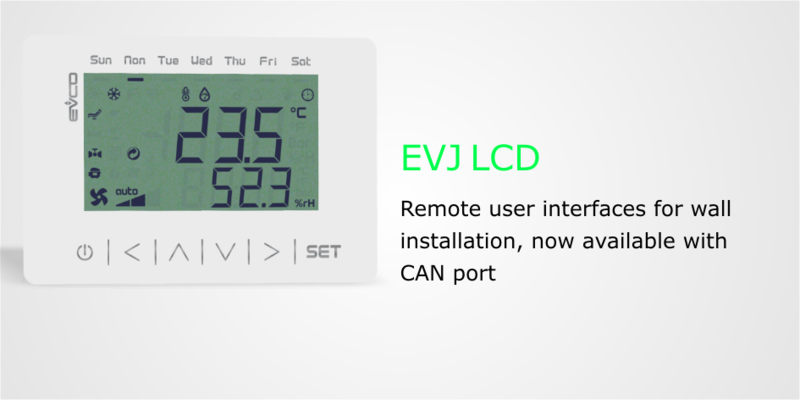 The remote user interface EVJ LCD, originally conceived for the HVAC sector, widens the scope of application thanks to the new models equipped with a CAN port, which allows communication with all the c-pro 3 series programmable devices. The backlit LCD display has a minimalist design with function icons and 6 capacitive touch keys. 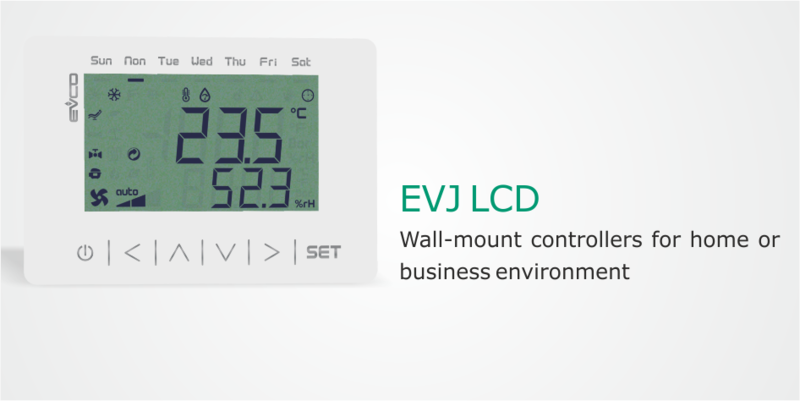 Ideal for installation in both home or business environment, EVJ LCD has a built-in temperature and humidity sensor and can be powered directly by the control module. Some models have built-in BLE Bluetooth, which makes it possible to develop further control solutions through mobile apps. EVCO’s French team and our managing director are looking forward to meet you at Interclima Paris, Hall 2, booth D078. Pop in to see what’s new in the air-conditioning control solutions! We started the 40th Host edition with the Smart Label 2017 prize, but the best award we were given is your presence, your interest, your suggestions. We thank you very much and look forward to seeing you all at Interclima Paris. Hall 2, booth D078. Any time your chest-freezer gets opened, what is stored inside undergoes temperature fluctuations that might compromise food safety and quality. 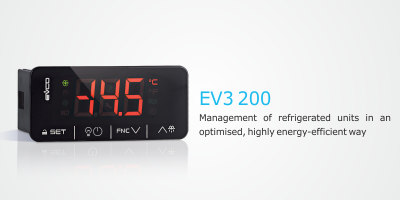 Avoid the risk and upgrade your refrigerator with EV3X41, the EVCO’s controller that provides a guaranteed maintenance of foodstuff temperature thanks to the compressor self-learning management. Preserve the refrigeration chain and take care of your customer’s health, while reducing waste and saving on energy! In a compact stylish design, the controller has the standard 74 x 32 mm format with reduced depth, the keys are capacitive and the front has a continuous surface with IP65 protection. If you need to manage Embraco or Secop variable capacity compressors and get the most from your highly energy-saving refrigerated cabinets, then EV3B54 is the right choice! The compressor speed can be modulated according to the real energy needs of the refrigerator, thus delivering better food preservation and less noise. The controller enables functions such as the adaptive defrost management and the compressor protection. The user interface has a standard 74 x 32 mm format with a big-digit display, decimal point, 4 capacitive touch keys, function icons and IP65 frontal protection. It is designed for panel installation. Need to manage retarding-proofing rooms or cabinets efficiently and save time and efforts? Go for the intuitive wizards of Vcolor 618 and easily configure your machine to run automatic or manual storing and proofing cycles. Each phase has an independent management of temperature, humidity and ventilation intensity and up to 99 user programs can be customized. Need more? Thanks to the embedded Wi-fi connectivity, the controller can be connected to the CloudEvolution system, enabling remote cycle selection and execution. The user interface consists of a 5-inch (M) or 7-inch (L) capacitive TFT touch-screen graphic display in glass, 65K colours, 800 x 480 pixel resolution and IP65 frontal protection. EVconnect app, the EVCO mobile solution for an advanced management of refrigerated units, has been awarded with the SMART Label 2017! The prize, under the patronage of HOST and POLI.design, aims to promote the most innovative solutions in the professional hospitality industry from companies exhibiting at the 40th Host edition. The use of the Internet of Things is one of the main requirements for the award, together with functionality, technology and environmental, ethical and social implications. The "Label", a distinctive green & white plaque, will put on the spotlight our booth at HOSTMilano, Hall 4 L36M35, 20-24 October 2017. Come and visit us to discover EVconnect and other IoT solutions. Split controllers Vcolor 318/328 - Make your electric (or gas) deck oven smarter! You can adjust heater power and temperature independently, without ties between top and floor. Steam (generation, injection and venting) can be managed both in automatic and manual mode and is fully configurable. Two 12 VDC outputs are equipped as standard in model 328 to enable the driving of external SSRs. The Wi-Fi option enables the controller to be connected to CloudEvolution for remote monitoring and data traceability. The user interface has capacitive TFT touch-screen graphic display, 65K colours, 800 x 480 pixel, IP65. It comes in the M (5”) or L (7”) format and can be placed flush with the unit panel. 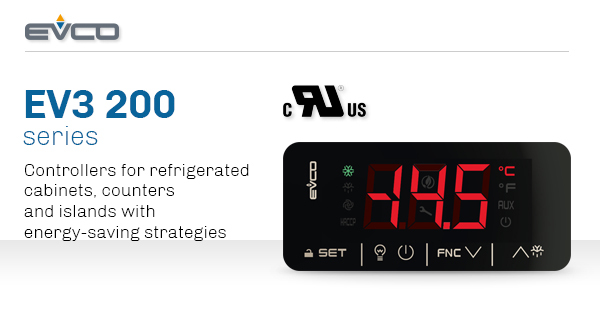 Choose an attractive design for your refrigerated cabinets and showcases with the controller series EVJumbo, endowed with 360° energy-saving strategies and powerful relays. With an elegant and large display (31 mm), the controllers come both in the split or compact version, with case and capacitive touch keys or in the open-frame format. With a varied choice of mounting methods, they meet any installation requirements. HACCP data traceability and further advanced functions (remote configuration) are available with the Bluetooth-based EVconnect app. Come and “touch” the series at the forthcoming Host in Milan, October 20th to 24th, fieramilano Hall4 L36 M35. Compliance with the air-quality and building energy standards / Top environmental comfort with the independent control of the supply and extraction fans / Management of different heat recovery systems and heating/cooling sources / Possibility to connect both the split and compact model to the stylish EVJ LCD user interface with capacitive touch keys for a wall-mounted solution or to the reduced-depth display (EV3K11) for panel fitting / User-friendly control of the unit using the EVcontrol APP for iOS platforms, transforming your smartphone into a state-of-the-art remote control. Do you wish to manage refrigerated units in an optimised, highly energy-efficient way? The EV3 200 controllers with their compact and stylish design, 4 touch keys and MODBUS serial communications, are the right choice for you! And what about having full control over the unit with a handy tool such as your smartphone? Protected access through the Android-compatible EVconnect app makes it possible to configure the machine and enables HACCP advanced functions, such as graphics/alarms in real time + data downloading and sharing. Vcolor 348: series of controllers for rotary ovens with automatic and manual rack rotation control. Designed for the bread, pizza and pastry-making industry, the controllers are capable to manage ovens (both electric or gas-fired) and can run on/off or modulating fans. In addition, the series includes a complete management of steam functions (water charge/discharge and steam generation by way of an external boiler). The elegant graphic TFT touch screen glass display, size 5” (M) or 7” (L), can be mounted “flush” with the panel for a perfect fit with the design of the unit. Vcolor 819/829 M & L - Top level solution with intuitive wizards for a complete management of the most advanced blast chilling/freezing functions, like the multi-timer or multi-needle continuous mode and the ready-to-use special cycles such as fish sanitation, thawing, ice-cream hardening, drying, proofing, slow cooking, etc. The user interface has a colour capacitive touch-screen graphic display and is available in the 5- (M) or 7- (L) inches size, either in vertical (819) or horizontal (829) format. 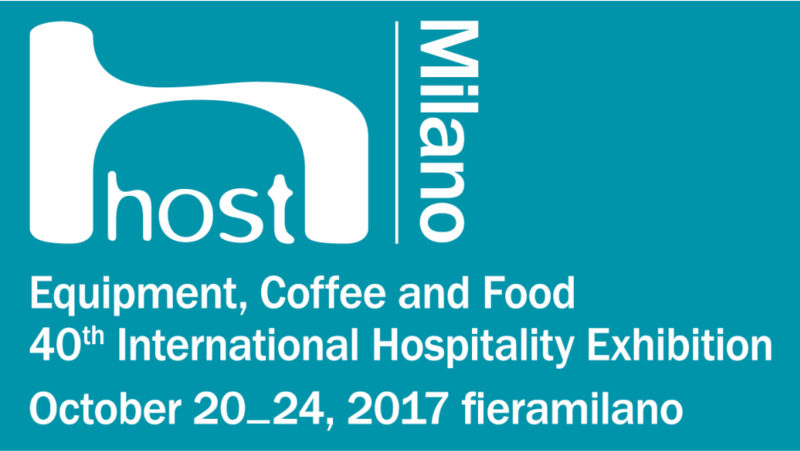 100 days to go before the 40th edition of HostMilano! Are you planning to join us at the most important international Hospitality event? 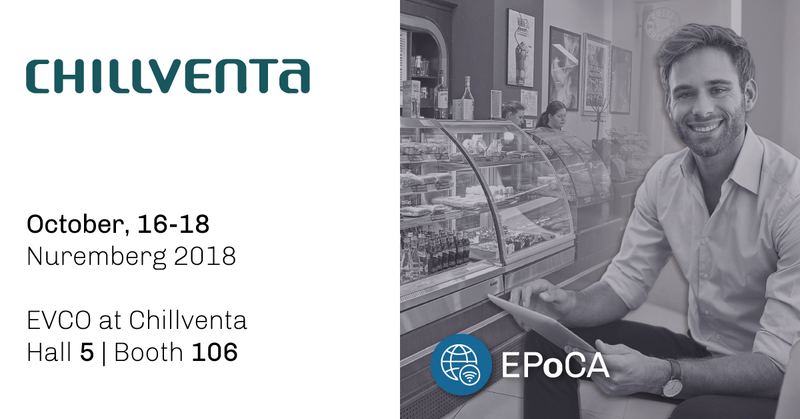 Don’t miss the chance to visit EVCO booth at Milan Rho from 20th to 24th October 2017 (fieramilano, Hall 4, Booth L36 M35) and get an overview of the most advanced control solutions for equipment in the Ho.Re.Ca, food service, retail and mass distribution channel industries. Controllers for electrical and gas combi ovens for gastronomy and pastry: baking gets smart! Choose Vcolor 338 with a graphic touch screen glass display in the format that best suits your needs (5-7”), without giving up advanced functions such as automatic washing cycles with both liquid detergents and tabs, up to 6 time-, core- or delta T-controlled cooking phases for each program and optional modules for the management of atmospheric + pressure jet gas ovens and external boilers. 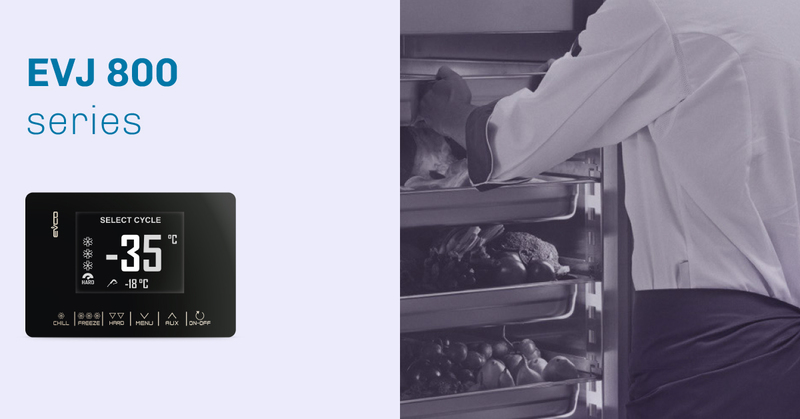 Complete with USB communication port (to allow settings and data upload/download) and embedded Wi-Fi for HACCP functions and technical service (via CloudEvolution). Another school year is over and EVCO is proud of having hosted talented and ambitious high school students for a practical training period. We thank our aspiring engineers Riccardo, Nicola and Jinjiang for their collaborative and team-building attitude, the sincere interest shown in the assigned tasks and the contribute given in terms of creativity and forward-looking view. We wish that they can make the most of this experience for their work, career or further study opportunities. The control solution for chillers and heat pumps is now available on our XS programmable controller with stylish LED display, capacitive touch keys, 25 fully configurable I/Os, several communication ports (USB, CAN, RS-485 and Intrabus) and EEV management (through the EEV driver EVDRIVE 03). c-pro 3 nano CHIL can manage single- and dual-circuit chillers (up to 3 compressors for each circuit) and modulating fans (separate or common ventilation). 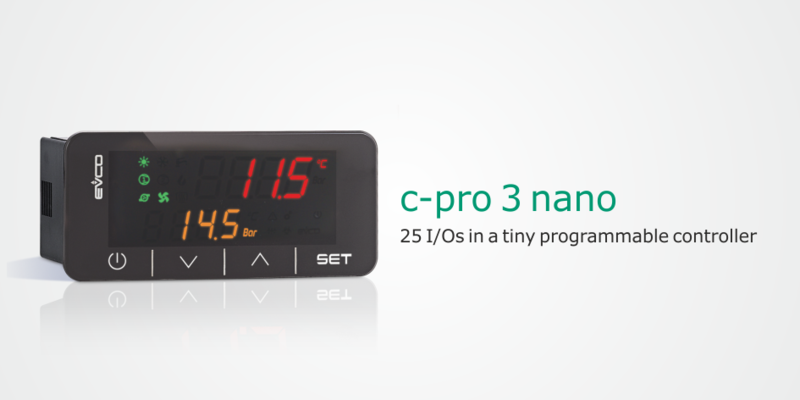 c-pro 3 nano HPRU can run single-circuit heat pumps (with up to 3 ON-OFF or variable speed compressors) with DHW tank and solar panel integrated management. 25 inputs and outputs, a wide range of communications protocols (CAN, INTRABUS, MODBUS) and an enhanced memory capacity. All this in an extra-small (74 x 32 mm) programmable controller featuring a compact and stylish format, LED display and capacitive touch keys. Ideal for the HVAC/R sector and OEM companies in particular, the number of I/O can be further increased with the addition of expansions. The application software can be designed in an intuitive way thanks to the UNI-PRO 3 integrated development environment. The USB port, supplied as standard, makes the controller easy to program in the development phase and in debugging and it can be updated using the most common USB flash drives. 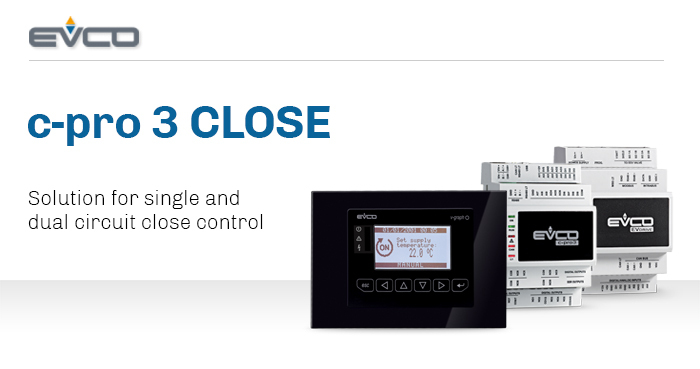 The smallest series of programmable controllers available on the market! Split controller Vcolor 318/328: make your electric deck oven smarter with independent management of top-floor heaters and of steam-related functions. In addition, you have the choice for top-floor heaters to be managed by electro-mechanical relays (model 318) or through external SSRs (model 328). The capacitive TFT touch-screen graphic display in glass, 65K colours, 800 x 480 pixel, IP65, is stylishly designed in the M (5”) or L (7”) format and can be placed flush with the unit front panel. The Wi-Fi option enables the controller to be connected quite simply and safely to the control and monitoring system CloudEvolution. EVJ LCD is the new range of remote user interfaces for the HVAC sector with a backlit LCD display, several function icons and 6 capacitive touch keys. Conceived in a minimalist and attractive design for installation in both home or business environment, it has a built-in temperature and humidity sensor and low power consumption. It is compatible with the entire c-pro 3 series of programmable controllers and can be powered directly by the control module. Some models have built-in BLE Bluetooth, ideal for the development of control solutions from mobile devices. 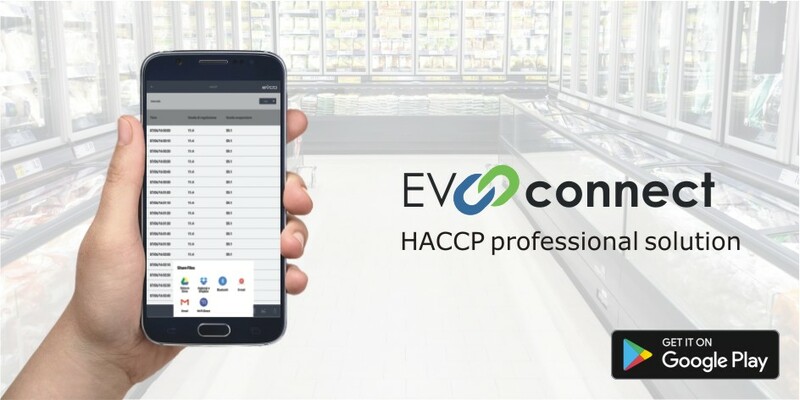 APP EVconnect - collect and exchange HACCP data with the EVCO new inter-networking system! 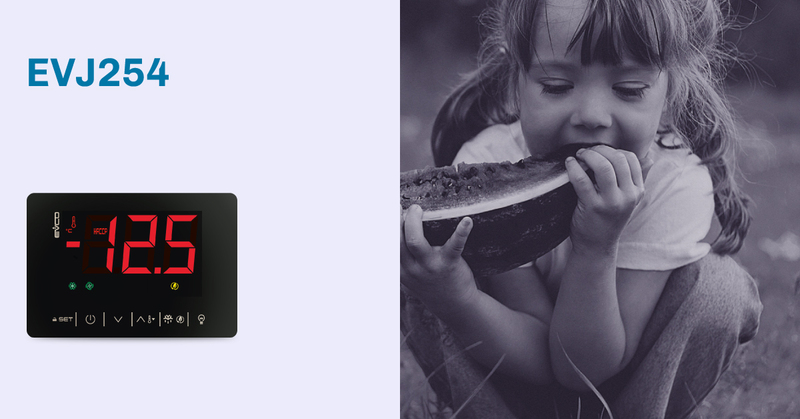 EVconnect is a professional solution with user-friendly interfaces for those who need to monitor food preservation, from the catering to the cold chain. Once downloaded in your Android device, a safe wireless connection with each EVCO Bluetooth-equipped controller can be established: setup and control functions are accessible from your smartphone, while active and logged alarm events (automatically downloaded) can be displayed in graphic or table form, exported in CSV format (for Excel reading) or sent as instant messages. Vcolor 348 is the EVCO new split controller for rotary ovens for bread and pastry-making, capable of managing ovens operated both with electric and gas energy. Elegant graphic TFT touch screen glass display, size 5” or 7”, flush mounting for a perfect fit with the design of the unit, it runs on/off or modulating fans, it controls the rack rotation (automatic/manual) and it has complete steam management (water charge/discharge and steam generation by way of an external boiler) as well as an embedded Wi-Fi for direct connection to the CloudEvolution system. 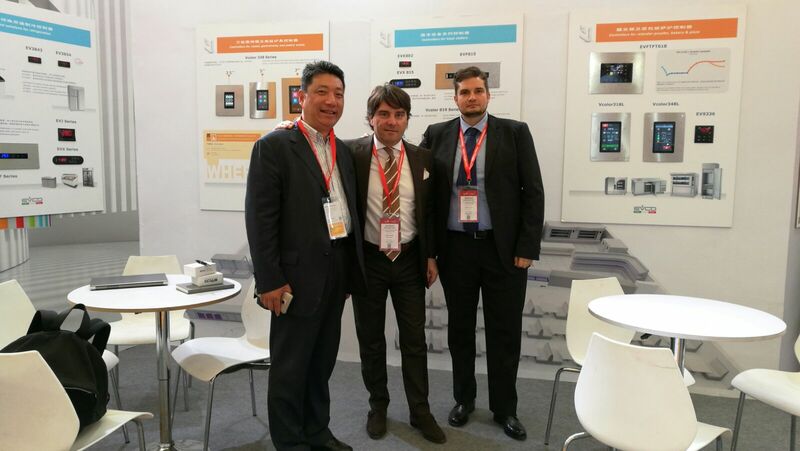 Our team of experts is waiting for you at Hotelex in Shanghai (WRD70), March 28-31, 2017. 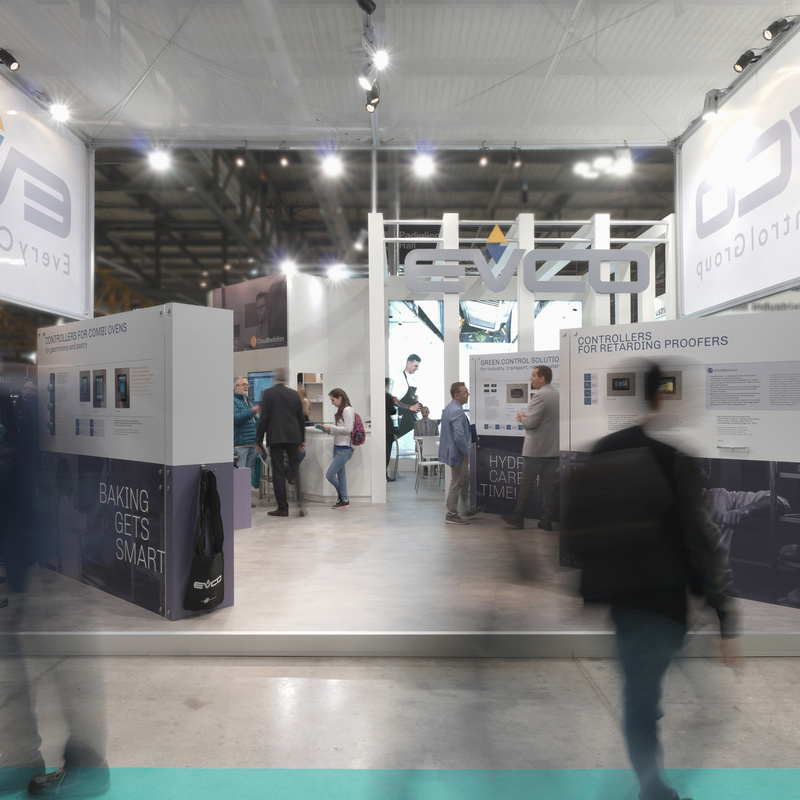 Don’t miss the chance to discover what’s new in EVCO! 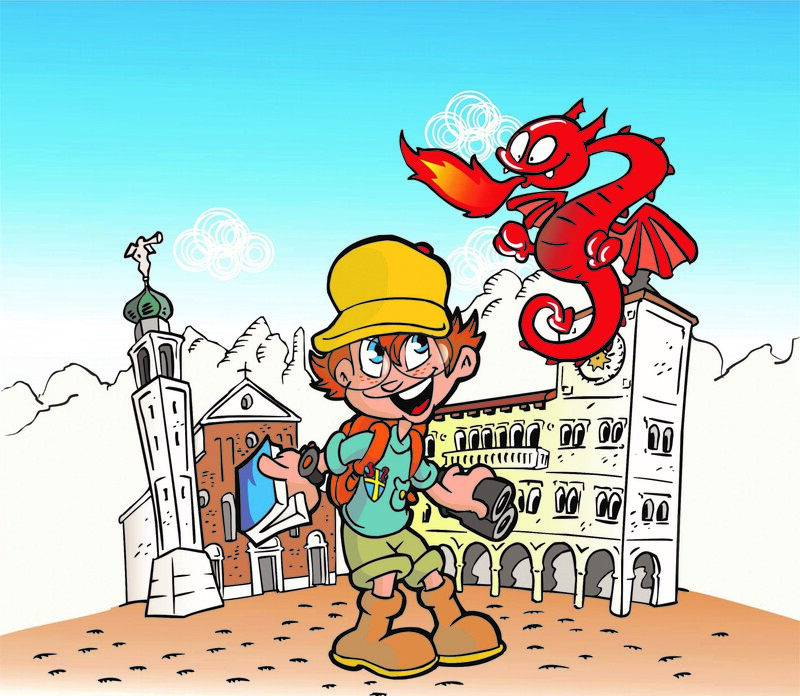 That’s the idea EVCO shares with “Belluno Child-Friendly City”, a project started in 2009 by some Belluno associations and organizations (Pomi d’Ottone, BIM, Belluno Municipality and Province). An initiative with strong roots in local communities, it offers children and their families a large range of educational and entertaining activities with the aim to promote the universal values of sharing, solidarity and sense of citizenship. Join us in looking at the future! The EVJumbo (EVJ 200) XXL-display controller for refrigerated cabinets and showcases is now available in the Bluetooth-embedded version. Without the need of additional external hardware, you can directly communicate with the unit with your smartphone or tablet. Protected access through the Android-compatible EVconnect app (currently available in 7 languages) makes it possible to configure the machine and enables HACCP advanced functions, such as graphics/alarms in real time + data downloading and sharing. Think big. Think smart. Think EVJumbo. Perfect aesthetic integration on refrigerated cabinets and showcases with the EVJumbo split or compact controllers. Elegant and impressively bright 31-mm XXL display with frame and capacitive touch keys or in the open-frame format (customizable with a membrane keypad in the back-panel fitting). 360° energy-saving strategies and powerful relays. HACCP data traceability (through SD card data-logger module) and further advanced functions (remote configuration) with the Bluetooth-based EVconnect app solution. Get used to think big with EVJumbo! Get full control of your blast chiller with the EVCO controller Vcolor 819/829. With its aesthetically-impressive colour touch-screen graphic display, the user interface is available in the 5 or 7-inches size, either in vertical or horizontal format. The controller boasts of intuitive wizards for advanced functions such as the management of blast chilling/freezing cycles (also in multi-timer or multi-needle continuous mode) and of special fully-customizable cycles (fish sanitation, thawing, ice-cream hardening, drying, proofing, slow cooking, etc.). Only 1 day to go – Are you ready to join us in Lyon for the world hospitality and food service event? 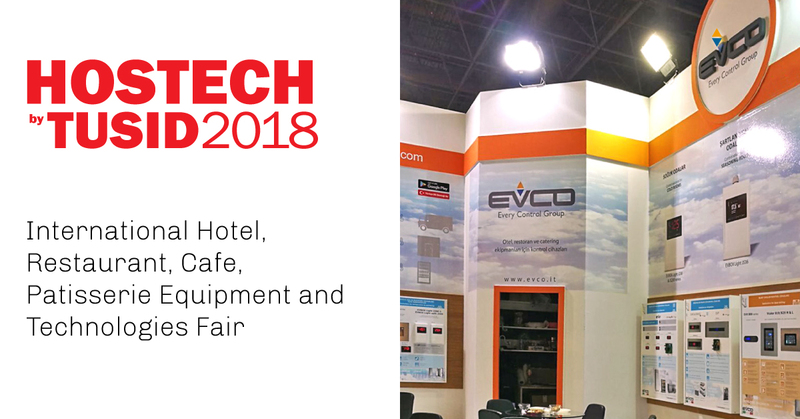 Don’t miss the chance to visit us at Sirha from 21st to 25th January 2017 (Eurexpo, Hall 4, Booth 4C84) and get an overview of the most advanced functions available with the EVCO controllers for professional equipment in the HORECA industry.